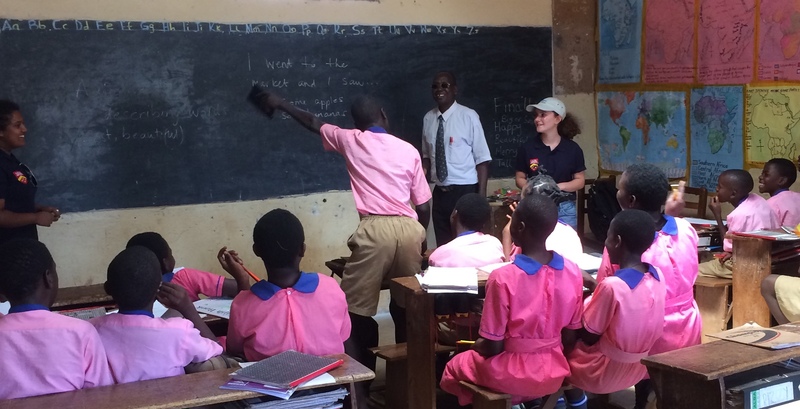 Half of the team visited Family primary school and half spent the day with Kiddawalime primary school today. We played 3 hours of Molkky at Kiddawalime (very exhausting) and the teachers there loved it more than the kids! However everyone that played was better than me! We had a much needed break and were given a lot of delicious fruit! Then we played parachute games with very excited students, and discovered the girls were better than the boys. 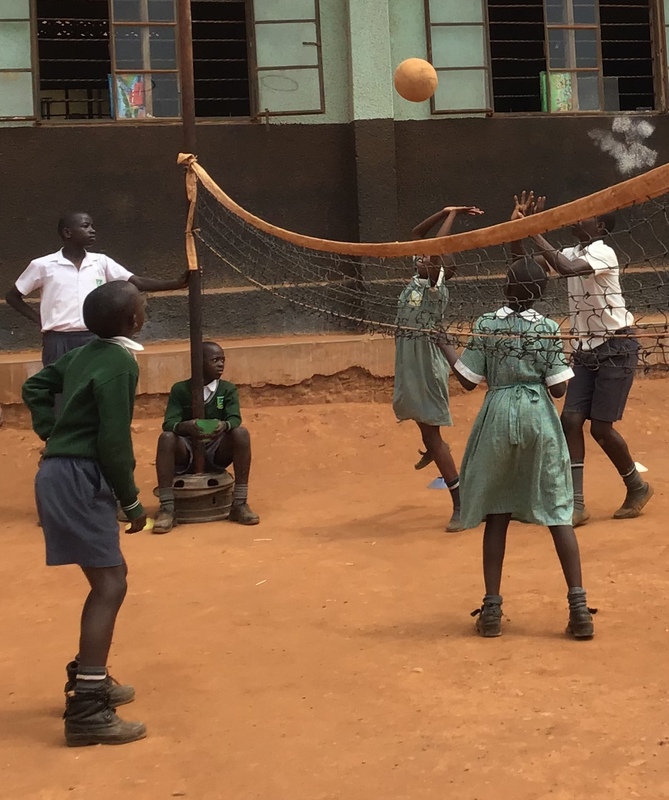 At lunch we joined the children playing football and volleyball (which I was very excited about as I have always wanted to play volleyball). We left with high-fives, hugs and smiles. The entire team really enjoyed the day, and had so much fun connecting with the children. I can’t wait to go back tomorrow! The rest of us who went to Family Primary were once again greeted spectacularly with hugs and high fives from everyone making us all very eager to start the day and have some fun with the kids. 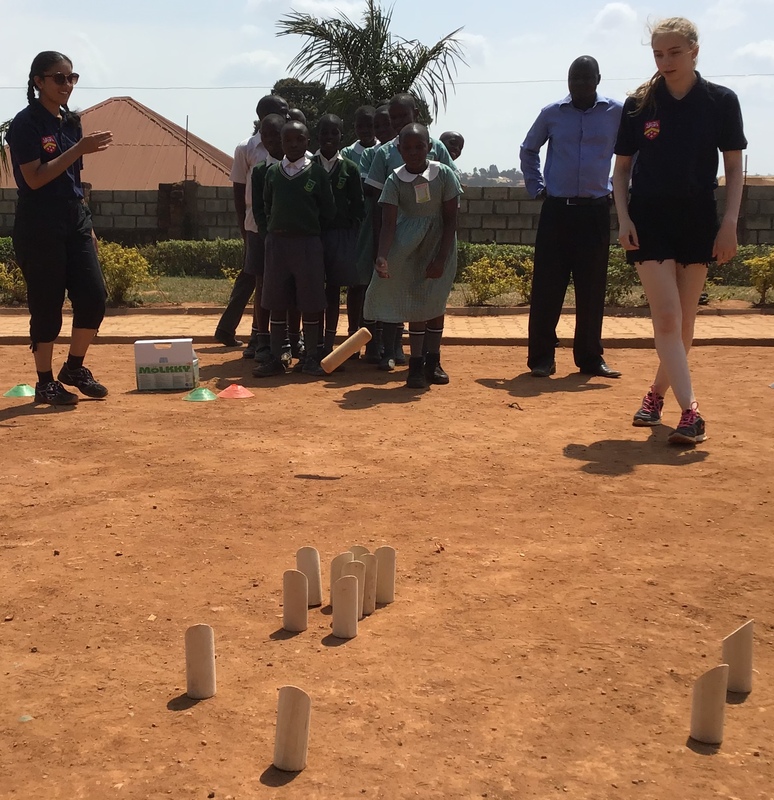 There were three sessions at the school with Miss Knight, Sophia and I leading an English session, Owen leading some parachute games and Neema and Rachel playing some Molkky. 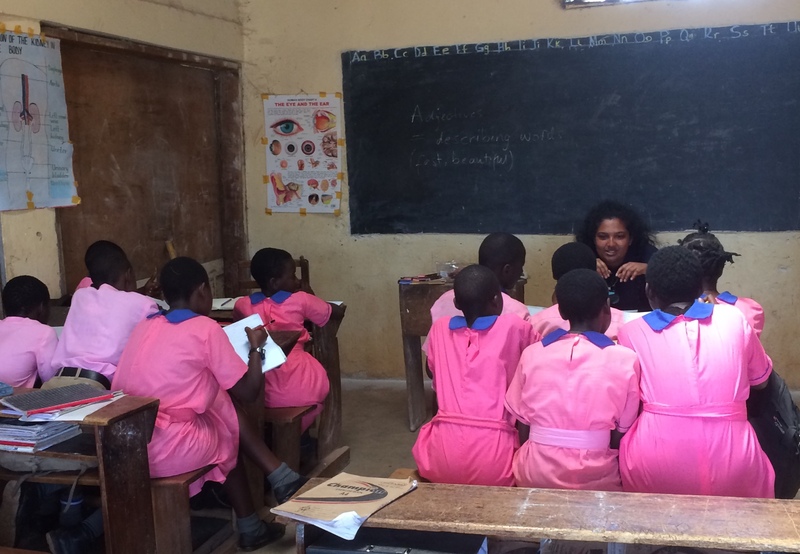 During the English session, we ran a story-telling competition and we were blown away by the creativity and enthusiasm of the children. By the end of the session we had characters such as dogs who could talk and girls with magnetic powers! It was also very inspiring to hear the children’s aspirations with many wanting to become doctors and engineers and singers and even one young boy wanting to play for Man Utd! The afternoon was once again filled with sessions of endball, other sports and even some clapping games – all the children were way better than me! We were very sad to leave them but I was ecstatic when I received a little letter full of pictures from one of the girls there.